The first Q in the title references a project called Telex: Q&A, originally devised by New York based E.A.T. 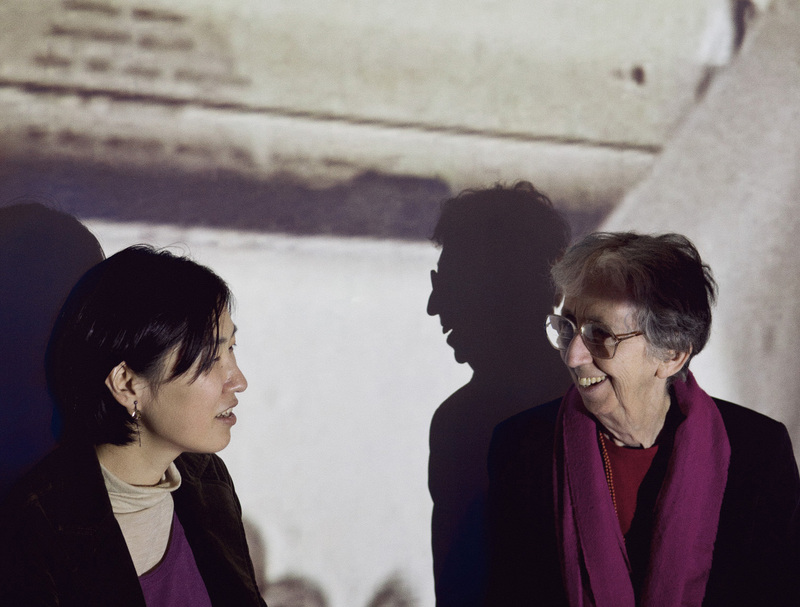 (Experiments in Art and Technology) in 1971, as part of the exhibition ‘Utopia & Visions 1871-1981′, held at Moderna Museet in Stockholm. 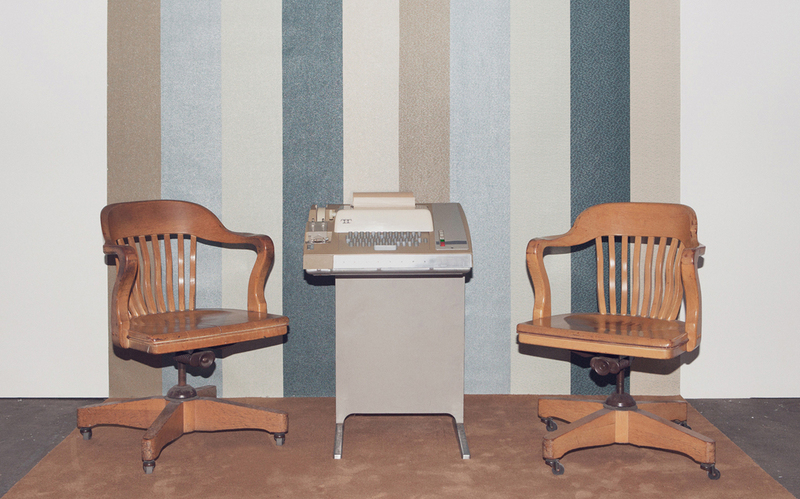 Visitors were instructed to fomulate questions and answers about 1981 – ten years from then – using Telex machines set up in Stockholm, Tokyo, Ahmedabad and New York). 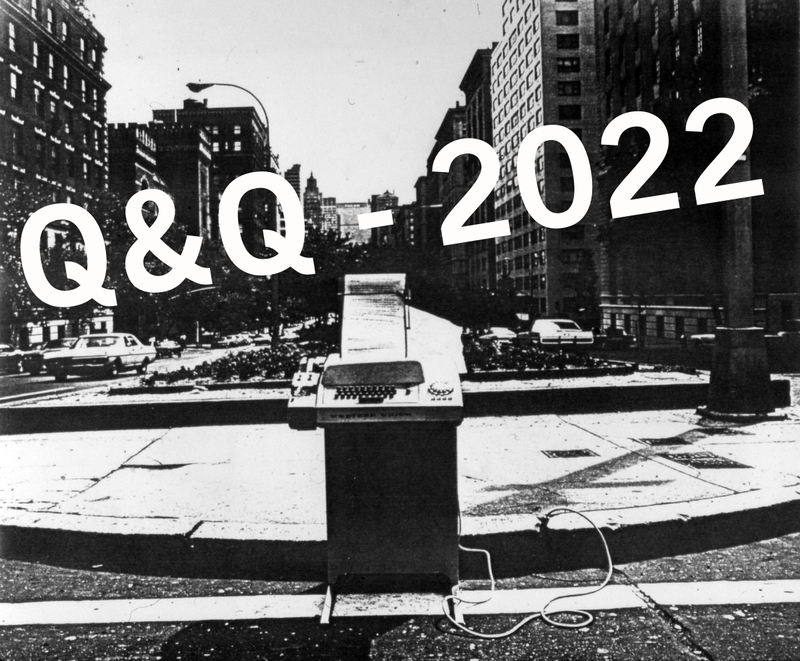 The second Q in the title stands for the new questions that we will produce now (2012 about 2022). Installed as a week long experiment, from March 23rd until March 31st, 2012, in the exhibition series COLLECTIVE/PERFORMATIVE at Exit Art in New York City, the audience were invited to ask questions, individually or together with other participants. The incoming questions were also displayed, to inspire and generate new questions. The week included workshops, where the participants not only were invited to fomulate questions but also to attempt specululations. 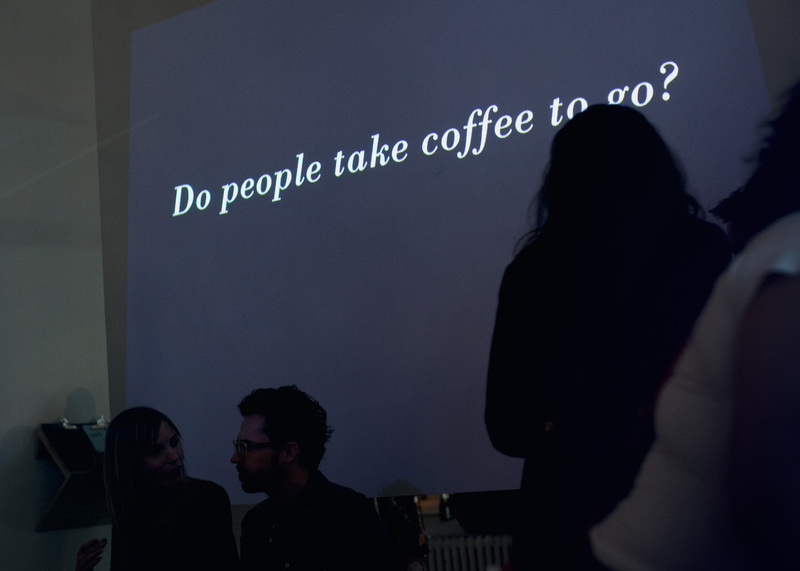 The week concluded with a ”Q&Q” session with Anna Lundh and Julie Martin – a performative reading of the old and the new questions. With special thanks to Julie Martin (Director of E.A.T.) who together with Billy Klüver and Robert Whitman worked on Telex: Q&A. 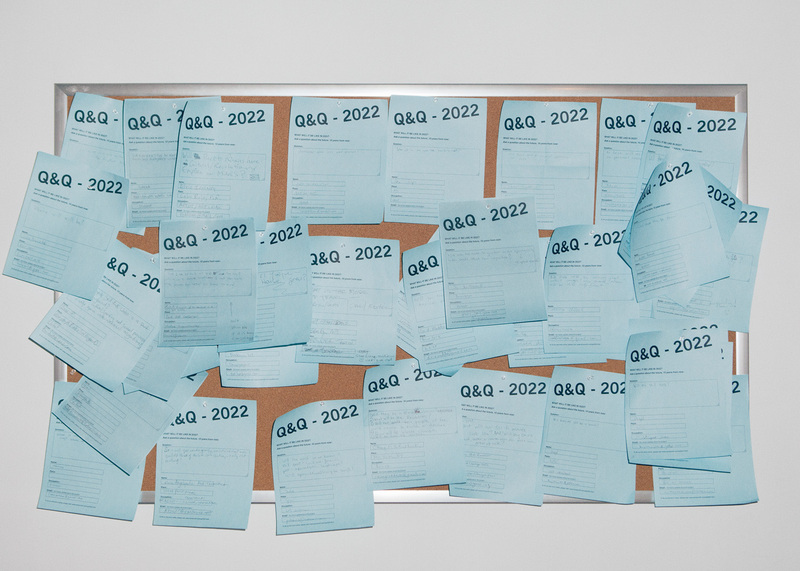 The participatory website for “Q&Q – 2022″ was launched on 12/12/12 and was a new commission for the New Museum’s First Look: New Art Online. Performances at Bonniers Konsthall, Stockholm, Performa 13, New York, and Disjecta Contemporary Art Center, Portland (2013). Installation, ExitArt, New York, 2012. 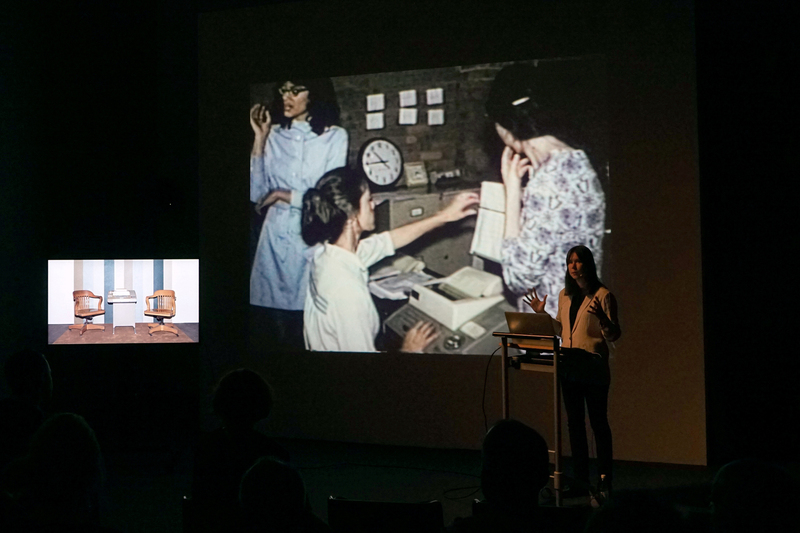 Lecture Performance, Moderna Museet, Malmö, 2014.